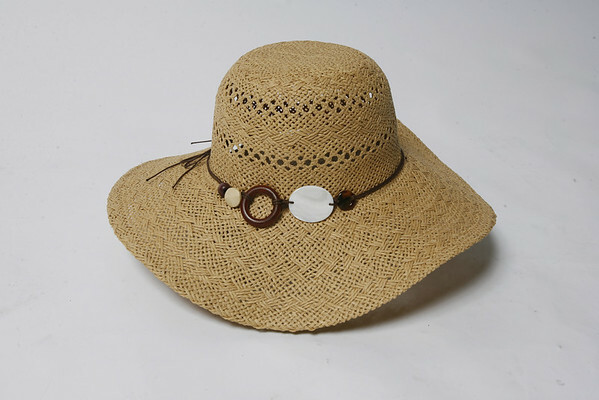 For summertime wear at the seashore or dining out on an outdoor patio, Tropical Trends offers a fashionable wide-brimmed cover adorned with wooden leaves on knotted cord. $18. Scala Collezione, handcrafted since 1921, offers a woven wide-brimmed hat in various natural colors. $18. Both styles available at Willoughby's at 20F Main St. in downtown Rockport.